Y U no love Georgian? I can work on Français (Quebec)/Français (Canada) or other "silly" languages. Where do I begin? Also check out EasyJar! Works great with DLML. How can I get in touch with the Japanese translator? death.magic 魔法？　(instead of 不思議な力)? Me - "Lookit! I made a heated jacuzzi and a sky tower with a waterfall!" She - "It's a bunch of blocks!" How did you get your problem solved? 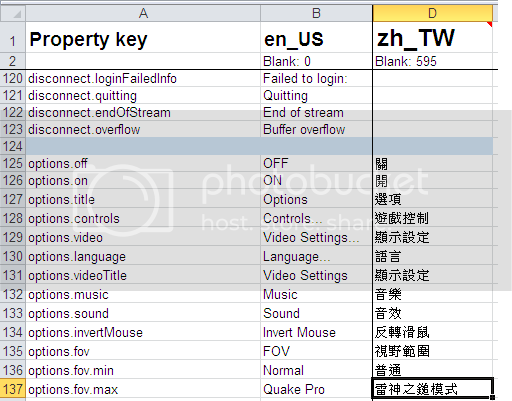 I don't have editing access to the Chinese_zhTW spreadsheet. There are some translations that are a little bit off when it comes to computer science. EDIT: Dang, made a typo. If you happen to be a programmer/computer science student (grad or not)/computer geek/computer technician/etc., please make sure each of the properties when translated be read as exact as possible. For instance, FOV. What is FOV? It's "Field of View" in abbreviation form. It's not simply called "FOV" for no reason. I accidentally encountered the creator of those sheets in chat that's available to those who are viewing the same sheet. He added me manually. Do you have access to the all of the translation, or you're allowed to edited a specific language translation? >>!Thai language pacK!<< - Tribute to Wolfie, RIP, My first pet in Minecraft. If you have any problems translating some of the Java class properties (very obvious by the looks of the sheet, when it comes to programming), I can help you out! Yay! Hebrew translation is pretty good! Yes it does.. Hebrew is written from right to left so it is now pretty ****ed up.. Hope you could fix that. is some one there translating to Hebrew?